During business emergencies, two things become important. The first is making sure that all the stakeholders receive timely information about the crisis at hand and the second is to move fast and work on a solution. We live in an era of constant “pings” and alerts. Our phones smart or otherwise have taken over our lives, with spam becoming the new norm. In such a scenario, how can businesses ensure that they can reach the right people at the right time. The reliability of the system – A system that is used to send out critical alerts needs to be reliable. Unforeseen downtimes or availability of the system makes it unsuitable for this kind of application. 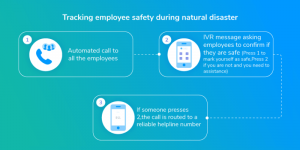 Picking the right alerting method – Depending on the speed and the urgency with which you would like the person to respond, the decision about the alerting system needs to be made. For example, for information that is just good to know, SMS or emails work just fine because these do not require immediate attention or action. In the case of an emergency where the response time is of the essence, calls are the right way to go. A phone call is the right amount of intrusive to elicit a response. 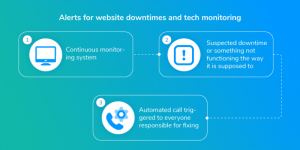 This article intends to throw light on different scenarios where cloud telephony has helped power emergency call alerting system. Healthcare is one sector where any negligence has potentially life threatening implications. The most crucial factor in the case of emergency medical care is time. Delay of even a few minutes can turn out to be the difference between life and death. 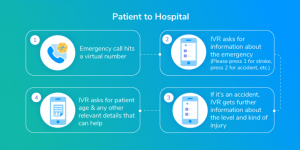 At Exotel, we work with a few hospitals that have used technology to improve their response time and efficiency for emergency and trauma care. In the case of an emergency or a trauma, someone who is with the patient or the paramedics from an ambulance call the hospital with information about the patient and their emergency. 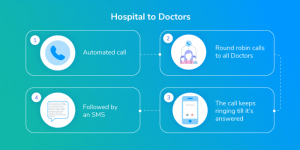 The hospital then has to spend precious minutes trying to locate the relevant doctors and medical technicians to ensure that they are ready to go when the patient reaches the hospital. Once the information is collected from the person calling in with the emergency, doctors are alerted. During times of natural disasters, it is important for organisations to be able to keep a tab of its employees and to ensure their wellbeing. As we have all seen (and some of us have unfortunately experienced), communication is the first victim of natural disasters. Especially the internet. Not everyone can even get to Facebook’s “mark as safe” feature. So, how can a company do this using the most basic technology? The humble phone call. 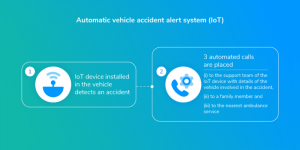 An automatic alerting system is a life saving technology that can directly alert a family member and/or the nearest available medical care in the unfortunate event of an accident. 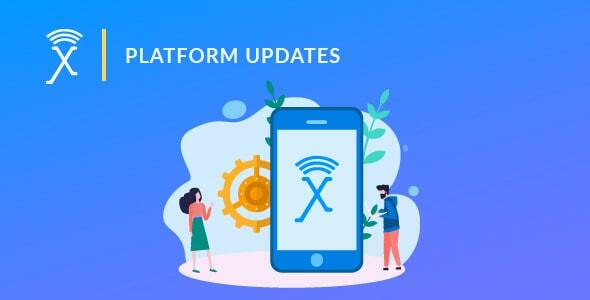 In 2015, Exotel acquired a voice-based social platform called Croak.it!. When Croak.it! was in its initial stages, they had a massive spike of users one weekend and the platform went down because it couldn’t handle the load. But the founders were not aware of it till they came back to business on Monday. Imagine this nightmare happening with an established business. At Exotel, in the case of a downtime, we use a simple phone call (what did we say about Dogfooding, eh?) to alert our engineers and our customer happiness team to ensure that we get on the problem right away. A phone call is taken for granted, and often gets the bad rap. It is often thought of as the means with which a pesky marketing team sitting with a headset glued to their ears very far away bombard you with calls. But what drives all of us who build the so-called boring technology is how it has a real and visible impact of the people around us. The scenarios we’ve mentioned are just thought starters. During any kind of emergency, there is only one thing that works with respect to communication and bringing people the assistance they require – keeping it simple.